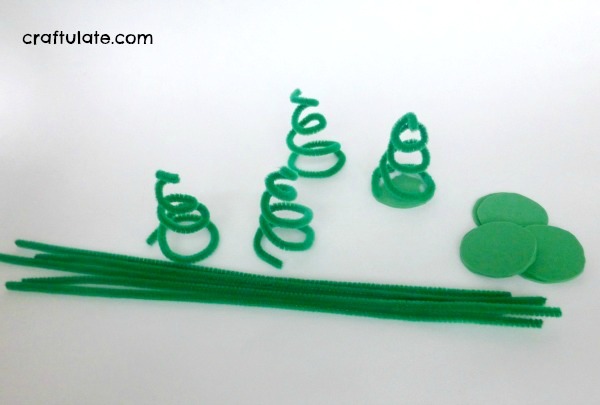 These pipe cleaner Christmas trees are a fun craft for kids to make. To prepare the craft I cut circles from the green craft foam, and wound the pipe cleaner around the top of the funnel to form a cone shape. Then I glued the pipe cleaner to the foam circle. Kids can help with this stage but because I was planning this for a crafty playdate, I wanted the glue to be dried before the tree was decorated. The kids glued a star sequin to the top of the tree, then added pom poms and sequins wherever they would like. For some reason my son didn’t want to make one – so it was lucky that I had his friends round to help me with this craft! 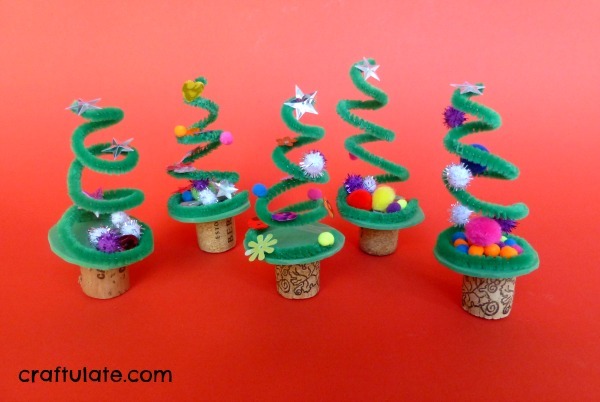 Once the decorations had dried I glued the tree onto the cut wine cork. They looked adorable as a little forest! Check out some other great ideas from my co-hosts! Thanks for linking up at Just For You Review Link Up! Hope to see you in two weeks! Please pass the word.